S'mores and campfires and sleeping under the stars! Caden can't wait for summer camp. But he doesn't count on sunburns and tornadoes and buried treasure and obnoxious cabin mates. Not to mention a ghost that haunts the campground. 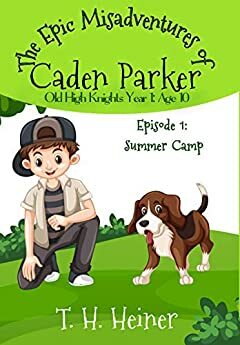 Will Caden and his friends survive their one week in the outdoors? Or will this be his last camp out ever?